Pension Marianna offers ideal airconditioned and fully equipped conference facilities to host your conference in tranquil and private surroundings. There are various packages from which to choose including catering and accommodation for conferences extending over serveral days. Pension Marianna conference facilities have seating capacities for up to 25 delegates. We will assist in co-ordinating, catering and hosting your special event at Pension Marianna. 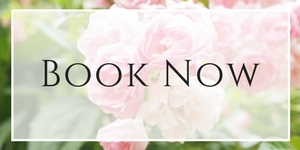 Our beautiful venue and stunning gardens are the ideal venue for an intimate special event and will make your photographs a lasting memory for your special day. We will advise and assist you in compiling a fabulous menu for your guests in addition to arranging flowers, photographer, videographer and music for your event. Décor will be taken care of and all that is left is for you to enjoy your special day at Pension Marianna where we take the hassle out of your hands. We can comfortably accommodate up to 30 people for an events function subject to the type of function. Please contact us to discuss your custom requirements.